In a joint venture with several US firms, Halifax-based Maritime Launch Services (MLS) is building Canada’s first spaceport near Canso, Nova Scotia. At a total cost of $304 million—a figure that includes the cost of the first rocket launch and promotional expenses—the launch pad is slated to deliver commercial satellites to low Earth orbit aboard Ukrainian-built rockets on a due south trajectory, and at a cost of $60 million per launch. The company would like to launch as many as eight rockets per year starting in 2022. There are concerns about the spaceport from government experts. Specifically, concerns related to environmental and health & safety issues. Recently released documents released by the province detail numerous questions about the planned Canso Spaceport Facility. Nova Scotia’s environment ministry will not approve the project unless their concerns are addressed. According to the Maritime Launch Services proposal, the rockets would use nitrogen tetroxide and unsymmetrical dimenthyl hydrazine, or UDH, for the second portion of their launch into the atmosphere. Other government officials comment that there isn’t enough information in the proposal to assess potential dangers. Chuck McKenna, a manager with the resource management unit of the provincial Environment Department, says detailed plans on how dangerous goods will be stored and handled weren’t provided. He says this should include details on the potential effects of a chemical accident, prevention methods and emergency response procedures. The government comments were made in response to the environmental assessment of the project prepared by a consultant. 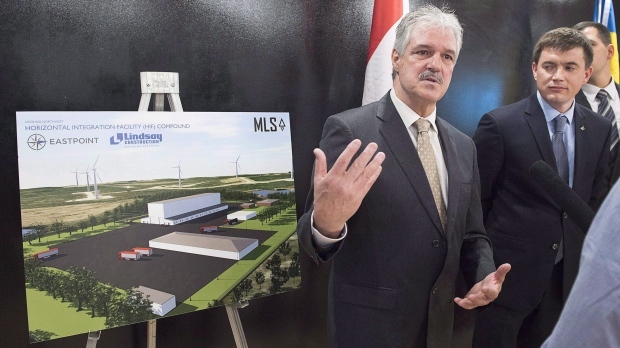 Nova Scotia Environment Minister Margaret Miller said last week the environmental assessment, submitted in July, didn’t contain sufficient information for her to make a decision on whether to approve the project. Miller has given the company one year to provide additional information and studies. The company’s president has said he’s confident the firm will finish the study in response to the concerns raised, and it is “optimistic” it can address the issues raised.